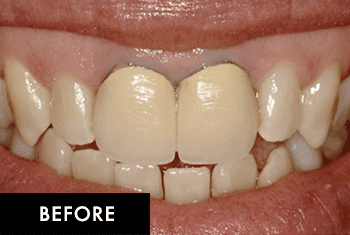 A smile makeover doesn’t necessarily mean an overhaul. 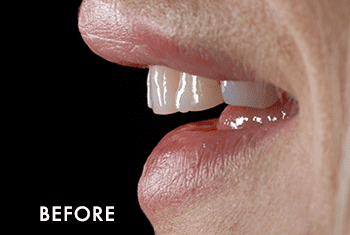 When it comes to smile makeovers, a little artistry goes a long way. 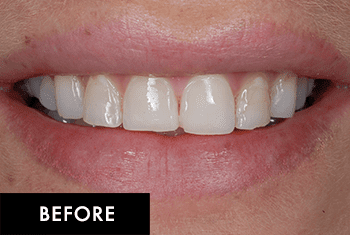 The Palisades Dentists use biomimetic principles to help you achieve the radiant, healthy smile you’ve always wanted. Biomimetic dentistry uses a conservative, minimally invasive approach to restore your teeth to their natural form and function. Composite Bonding: To fill cavities, or to address chipped, gapped or stained teeth, composite bonding is a tooth-colored solution that blends naturally with your existing tooth structure. 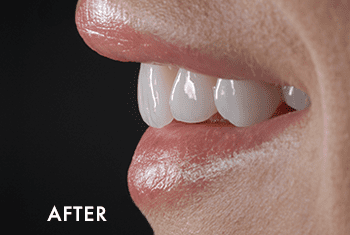 Using the highest standard techniques and isolation, our composite bonding can help you achieve your esthetic goals. 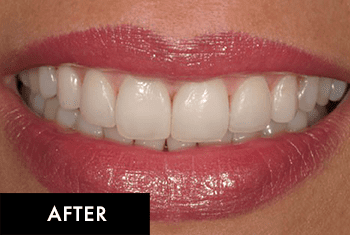 Veneers: Veneers are a cosmetic solution to give your teeth a different shape, size, length or alignment. You can think of them as a thin shell of porcelain that bonds, or adheres, to your natural tooth structure. 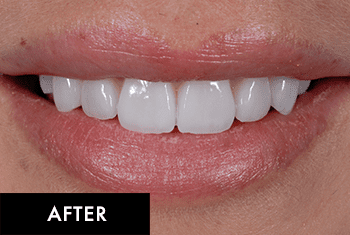 For a truly natural look, your dentist works with a ceramist to design each veneer during a multiple step process– good things take time. It’s important to sit down for a full consultation regarding your esthetic goals. 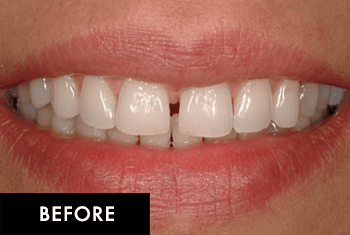 Inlays/Onlays: Instead of cutting down healthy tooth structure to crown or cap a tooth, we use a conservative, minimally invasive approach to preserve your natural teeth as much as possible. If you have a cavity or a cracked or chipped tooth, we have the technology to adhere a custom-made, porcelain inlay or onlay (you can think of it as sort of a puzzle piece made just for your tooth) to make your tooth whole again. 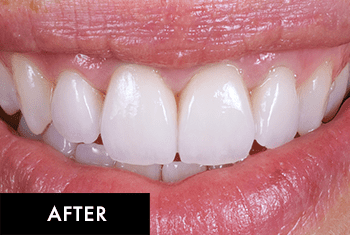 Your tooth will not only look better and more natural, but it will also be stronger than before using research-based, clinically-proven adhesion. Whitening: One of the simplest ways to give your smile a boost is to brighten it up! There are a variety of options to whiten your teeth. Not everyone will have the same results using one particular method. We can evaluate your smile to see which of our in-office, or custom, take-home methods will get you lasting results you want. "If loving my dentist's practice is wrong, I don't want to be right. Not only do they offer the latest procedures using sophisticated technology, they bring to bear kindness and ethical conduct."